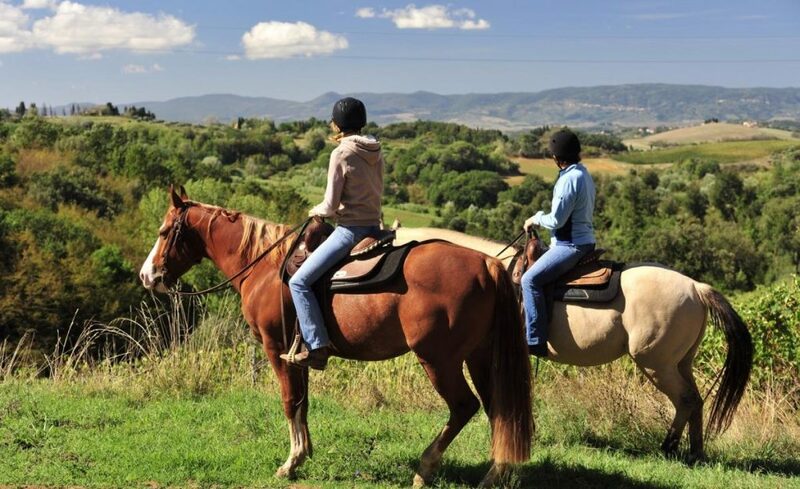 Fun Horseback riding lesson at the Winery’s Ranch with a qualified instructor (30 minutes of horseback riding per person, also for new beginners who want to approach a horse for the first time – for expert riders we also offer longer lessons and horseback riding in the woods – Pony lessons for children!) – Tour of the Vineyard and the Old Cellar with the family’s winemaker– A guided Wine Tasting of the three local Wines and Olive Oil paired with the farmer’s snacks served on the panoramic deck of the farmhouse – A local Lunch/dinner at the family’s Tavern (Il Tettuccio e L’Allegro Bigoncio)– Transfers to the Vineyard and back to Frascati Town – English speaking guide and licensed wine taster! Euro 50 pony and grape juice for kids under 16! Hours are flexible and can be agreed together!